Nurses have the opportunity to diversify their fields more than any other professional field. They can advance in a variety of medical related fields as they enhance their education. Certifications are an additional example of how nurses can diversify their field. In particular, Legal Nurse Consulting is an excellent way for nurses with legal interests to combine both the legal and the medical knowledge. Legal Nurse Consulting is not a licensed field but a certification nurses can earn from a credible organization. 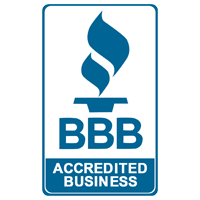 Once certified, they can utilize the certification in a variety of legal cases. Malpractice cases are a key area for Legal Nurse Consultants. Firms defending a provider, or malpractice attorneys working for a client can utilize a Legal Nurse Consultant’s skills in defending or finding justice in a case. With an abundance of malpractice cases, legal teams are always looking for medical knowledge to help prove or defend a case. Legal Nurse Consultants can serve as expert witnesses or work in the background developing the case. Many firms may hire a Legal Nurse Consultant for individual cases or may hire one on retainer. The Legal Nurse Consultant can then develop the career as needed, or in addition to nursing itself. Legal Nurse Consulting is an excellent opportunity for nurses that legal minded nurses should not ignore. If you are interested there are plenty of organizations that certify nurses and teach them the necessary skills to become a Legal Nurse Consultant. The American College of Legal Nursing offers a comprehensive, online program. It is independent study and one can work at his or her own pace through the curriculum. Each course carries CE value and can be utilized towards hours of a nursing license. After completing the program, one can then become certified as a Legal Nurse Consultant for four years. Recertification involves 500 hours of work within the field and 50 hours of CE hours. Once certified, one can begin to gain the credibility needed to ensure firms and attorneys of one’s skills and abilities within the medical and legal fields. If you are considering becoming a Legal Nurse Consultant, then please review the program from the College of Legal Nurse Consulting and see if it matches your academic and professional needs. 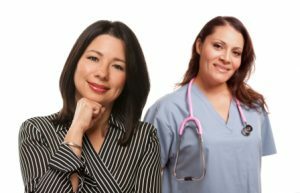 Within a short period, you could become a certified Legal Nurse Consultant and begin an exciting career that takes you from the hospital floor to the courtroom bench. This entry was posted in Legal Nurse Consulting and tagged legal nursing. Bookmark the permalink.